I avoided reading this book for nearly three years, but in order for me to complete my LOST Book Club challenge, it had to be done. I think the fact that it was Dickens is what had me thinking I wouldn’t like it. I know he was a genius and all, but the language… I just didn’t want to trudge through the formal language, I’m too old. And maybe a bit lazy. But thank goodness I’ve got this challenge. The main reason I started it was because I wanted to be more “well read”. I’ve read many things now that I never would have before, including this one. 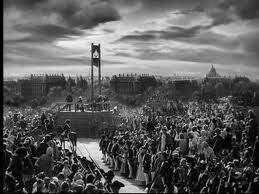 And I think that anyone on the quest to become well read needs to read A Tale of Two Cities. Maybe you read it in high school, a lot of kids did, but this girl was just in the regular ole average English class, no honors or AP and so we didn’t get to this one. Good grief I would have hated it. If you read it in high school, and you hated it, FOR THE LOVE OF ALL THINGS LITERARY, PICK IT UP AND READ IT AGAIN! Just get past that horrible carriage ride in the beginning, and maybe read a bit of Sparknotes to make sure you’re following. You’re gonna love it. I just know it. A Tale of Two Cities makes it on the LOST book list because it is the title of the season 3 opening episode. That’s pretty much it. Well, there could be other reasons. This is the episode that we find out there is another actual community of people living on the island, separate from our LOSTies on the beach. And the story progresses for a few weeks into one of sacrifice, similar to the sacrifice made in the book, minus the guillotine. The episode just happens to have one of my favorite scenes in all of LOST….the book club scene. It would be awesome if they were reading A Tale of Two Cities but they weren’t. They were discussing Carrie, by Stephen King. Let’s watch and see what happens…. Um, so yeah, they made a mug for that last line there, and I want it. So friends, have you read A Tale of Two Cities? Did you have to read it in high school? Tell me your thoughts. I wanna know. I made it about 50 pages into this before setting it aside and never picking it up again… Shameful. 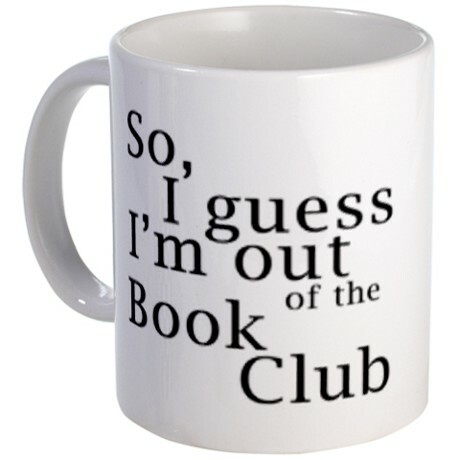 Go ahead, place it on your shelf of shame…I don’t judge you. As a teenager, I had a three-book set of Dickens: A Tale of Two Cities, David Copperfield, and A Christmas Carol. The only one I made it through was A Christmas Carol. Pitiful, I know. But your review inspires me to try again. Oh you should, you really should!